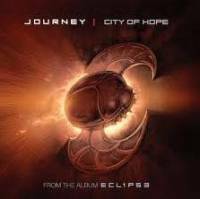 The song Journey - City of Hope is professional recreation. It is not by the original artist. Any Way You Want It Journey Your browser does not support the audio tag. City of Hope Journey Your browser does not support the audio tag. Don't Stop Believin' Journey Your browser does not support the audio tag. Only The Young Journey Your browser does not support the audio tag. Wheel in the Sky Journey Your browser does not support the audio tag.